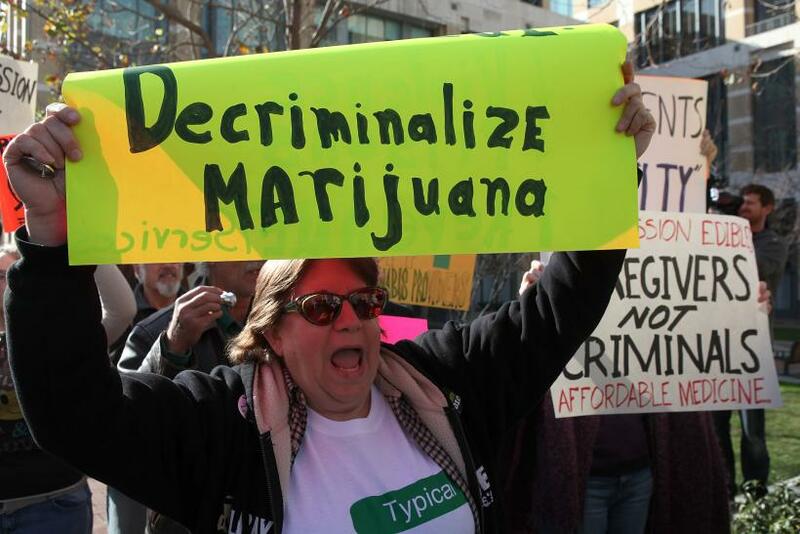 As A Big UN Drug Policy Summit Draws Near, Will Marijuana Activists Become Global Drug Reformers? Ethan Nadelmann, executive director of the Drug Policy Alliance and one of the most recognized speakers in drug policy circles, doesn’t mince words when he gets up to talk at marijuana industry events. “Frankly,” he often says, “I am not interested in meeting most of you.” The only people he wants to talk to, he tells his audiences, are those who are going to make a lot of money in the new marijuana industry in an ethical way and are interested in certain social issues that could make them ideal foot soldiers in the wider struggle against the global war on drugs. That’s because Nadelmann and DPA aren’t just interested in marijuana legalization — they’re interested in wider drug policy reform in the United States and beyond. Lately, calls for such reforms have reached a fever pitch, thanks to the upcoming United Nations General Assembly Special Session (UNGASS) on the World Drug Problem on April 19-21, the first time the U.N. has held a special session on drug policy since 1998. Broad coalitions of nongovernmental organizations are pushing member nations like the United States to advocate for bold changes at the meeting. The latest issue of Harper’s Magazine is calling for the legalization of all drugs. And a report released last week by the Johns Hopkins Bloomberg School of Public Health and The Lancet condemns the global war on drugs for contributing to myriad public health crises. Marijuana legalization is helping to drive these changes. The fact that four U.S. states and the District of Columbia have legalized cannabis underpins the tough international drug policies the United States has championed for decades, while demonstrating the social impact of such reforms is far from catastrophic. And some marijuana advocates and industry stakeholders are already wading into the global drug policy debate; major marijuana groups such as Marijuana Policy Project and the National Organization for the Reform of Marijuana Laws, plus cannabis business interests such as the ArcView Group and Denver Relief Consulting are among members of an ad hoc coalition of organizations calling for narcotics law reforms in the lead-up to the UNGASS. Not only that, but the medical marijuana advocacy group Americans for Safe Access just submitted a lengthy report to the United Nations Commission on Narcotic Drugs outlining potential international medical cannabis reforms. The growing push for drug law reform beyond marijuana legalization could also lead to divisions among cannabis advocates. Should the U.S. marijuana movement, which has become a political and financial force to be reckoned with, help lead the vanguard in changing drug laws around world? Or should cannabis activists and industry stakeholders stay focused on national marijuana reform, since that could be their best shot at changing the global dialogue on drugs? What’s left unsaid is that some of the strategies that operations like MPP are using to reform marijuana laws are ill-suited for wider drug policy debates, such as promoting the idea that marijuana is safer than alcohol. That approach has proven a potent tool, but it wouldn’t work so well in other drug-reform efforts, which are focused not on the relative safety of various narcotics but on the notion that prohibition-based laws combating these drugs make the potential harms even worse. Then there’s the fact that while the marijuana industry is growing by leaps and bounds — the market is estimated to top $20 billion in sales by 2020 — organizations in the scene are still struggling with limited budgets, so they have to make tactical decisions on where to direct their efforts. And right now, for some activists, targeting marijuana legalization might seem like a smarter move than tackling wider drug policy. Another major problem is that drug-reform efforts beyond marijuana are still a very hard sell for the American public. Support for cannabis legalization, for example, just hit an all-time high, with 61 percent of Americans in favor of it. On the other hand, while a majority of Americans now support less-stringent narcotics laws like a shift away from mandatory drug sentences, roughly 10 percent or less want drugs such as cocaine, heroin and LSD legalized. That’s less than the percentage of Americans who wanted marijuana legalized in 1970, when the cannabis movement first began gearing up. Yes, the number of those people is usually small, but according to Nadelmann, it’s growing every day.